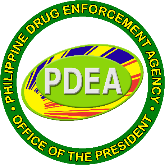 The Philippine Drug Enforcement Agency is opening its doors to individuals interested to join the team of Anti-Narcotics Enforcers. The agency is currently in the recruitment and selection process for agent-trainees for the Drug Enforcement Officer (DEO) Basic Course Class 2019-15. Once recruited, Drug Enforcement Officers has an entry level position of Intelligence Officer I. This is a permanent item with Salary Grade 11 and the opportunity to become a part of the premier organization of the Drug Law Enforcement in the country. The recruits are expected to complete a six-month rigid and comprehensive training at the PDEA Academy in Silang, Cavite. Interested applicants may send their applications with an application letter, addressed to the Director General, PDEA to the PDEA Regional Office V, Camp General Simeon A. Ola, Legazpi City. These applicants will soon become potential reinforcement to enhance the PDEA and the Government’s War on Drugs.